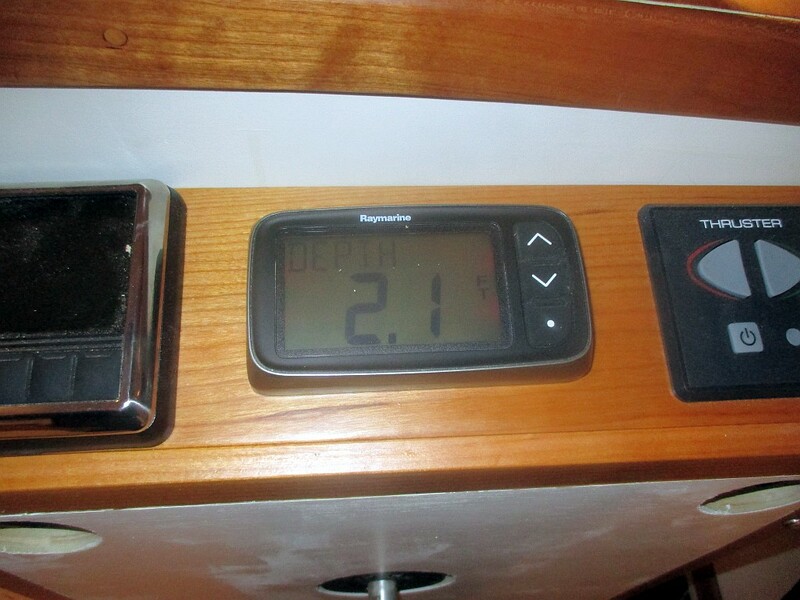 — Had to finish all the wiring in the console so I could pull the steering system wires, so the chartplotter now works and the depthsounder confirms that it is indeed 2.1 feet from the hull to the shop floor. 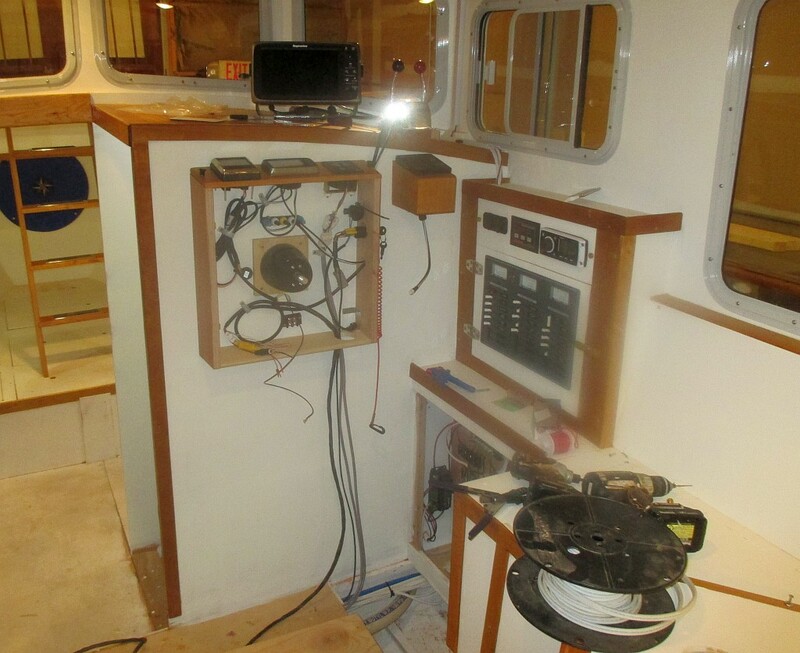 — Ray and I added all the deck hardware and foredeck drains. 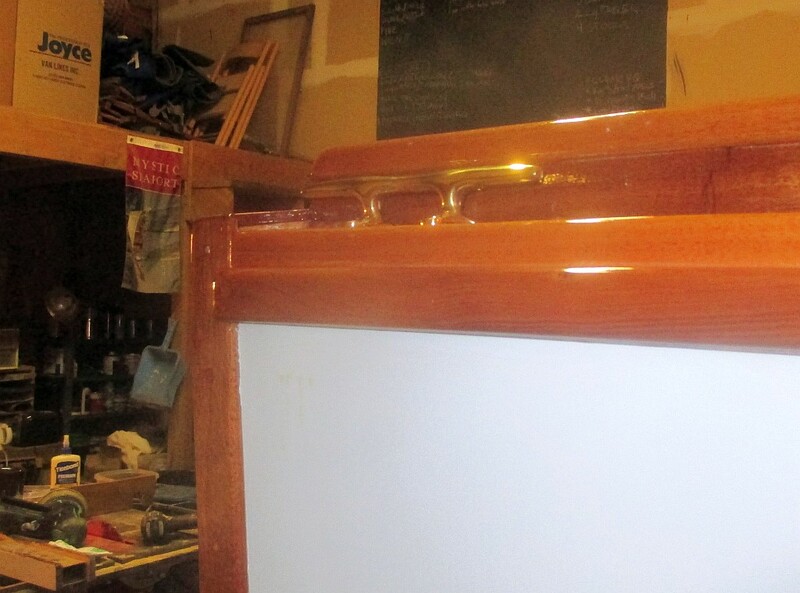 The plans show scuppers (holes in the side of the boat) to drain the foredeck, but that would have meant a three-inch drilling job at an angle through the trim and sheer clamp, so we used traditional drains running through hoses to bronze thru-hulls just below the trim line. 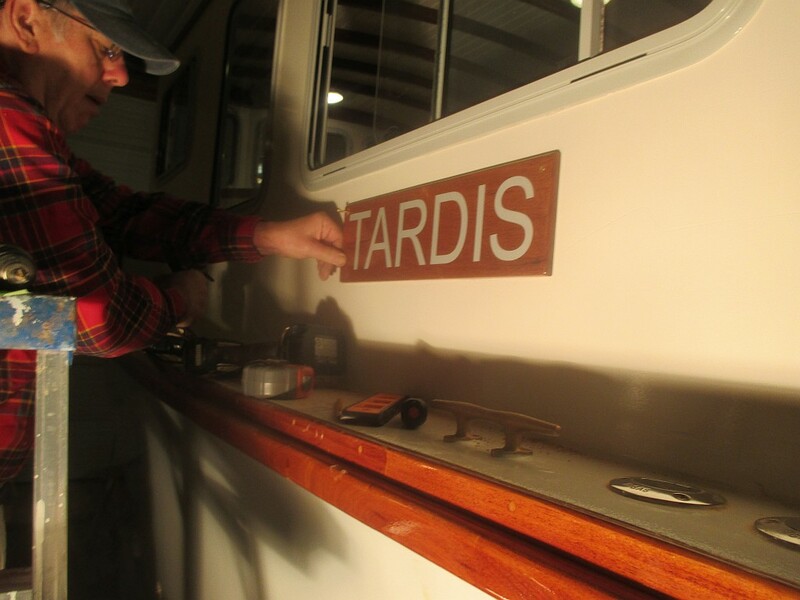 — While Ray was there we put on the nameboards. 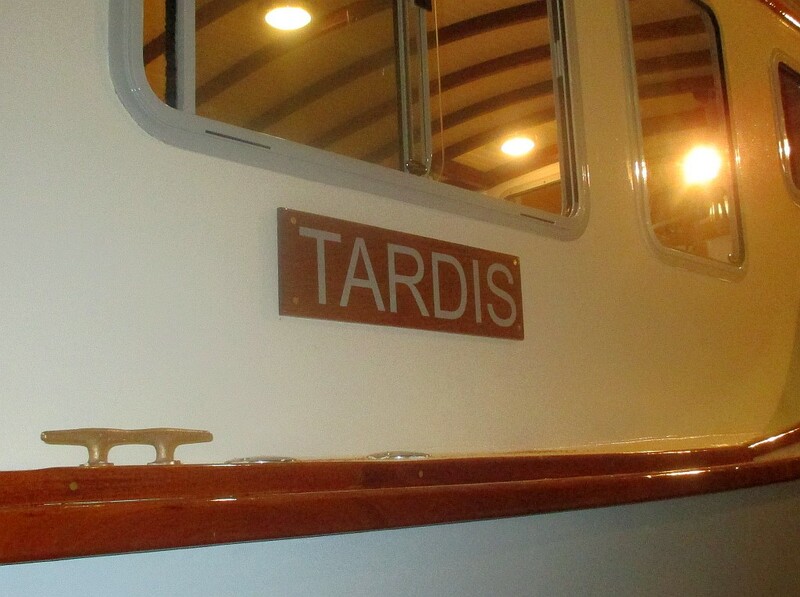 Temporary, since I hope to make carved ones someday, but the gray lettering looks much better than the picture, matching the hull and window trim almost exactly. 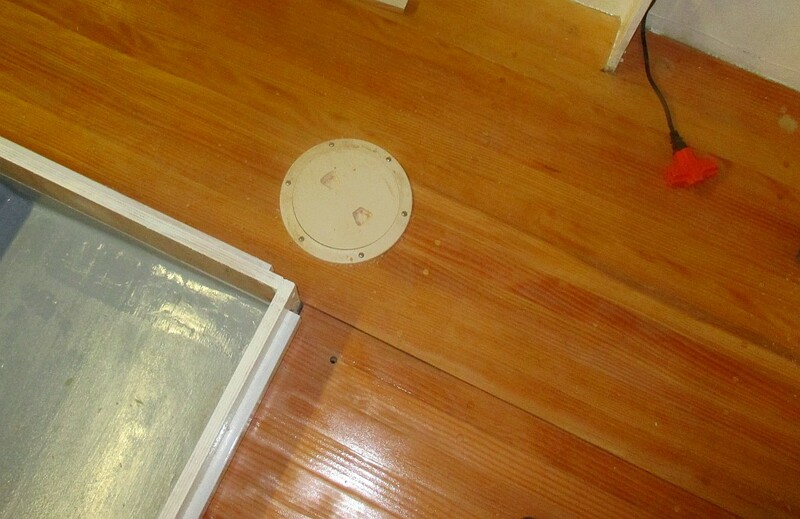 I guess we should have had some sort of ceremony, but it was pretty much, “Okay, what’s next?” at this point. 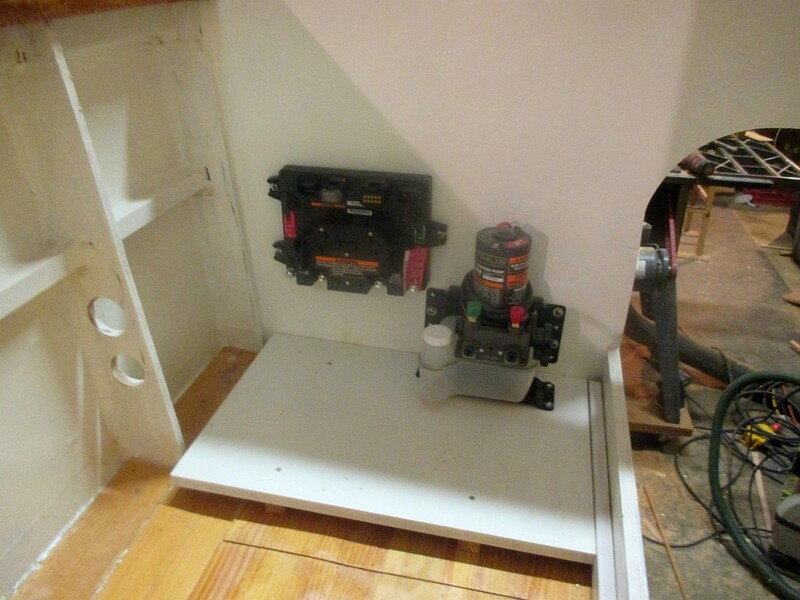 — Added an access plate to pull control lines across the boat to the engine and steering gear. 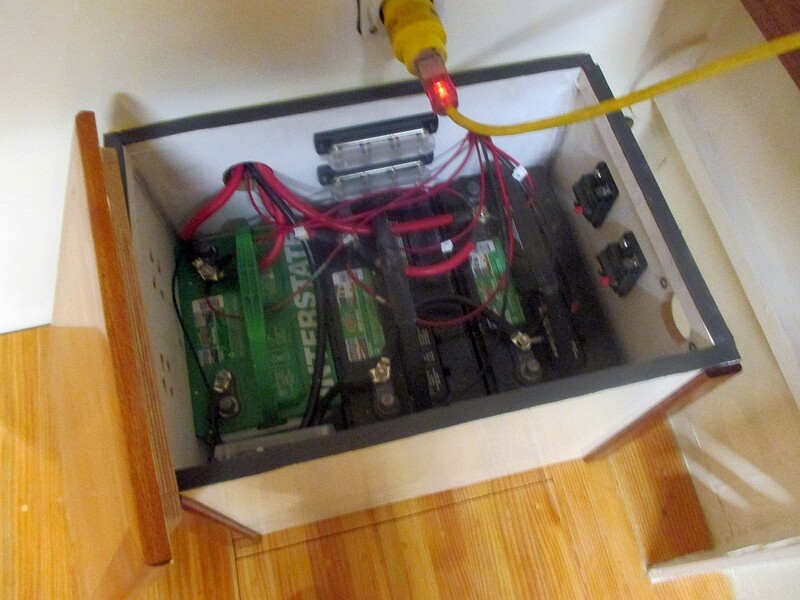 — Added circuit breakers and bus bars to the battery box to handle the steering loads. 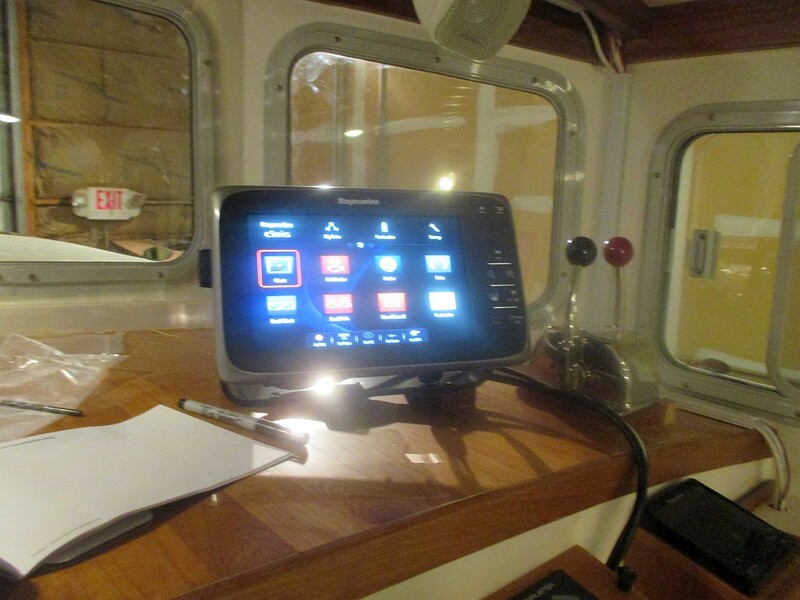 — Installed the steering control unit and hydraulic pump. 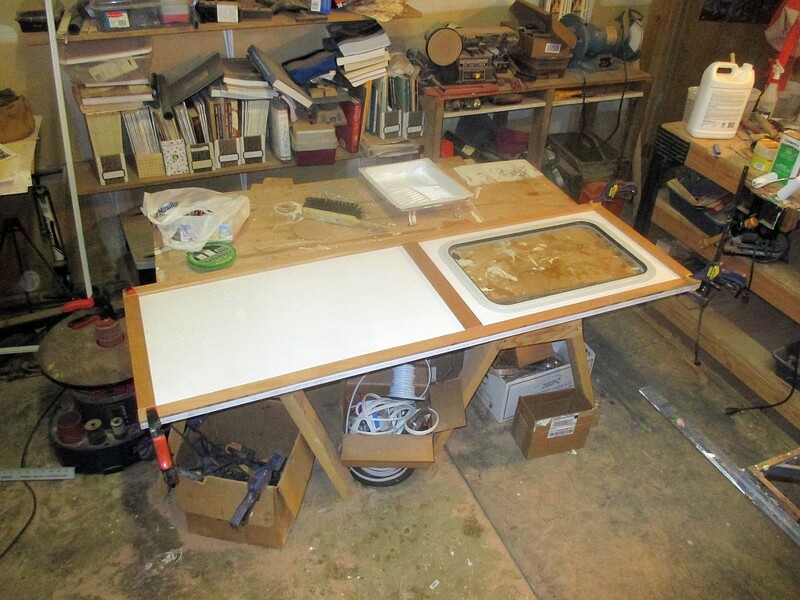 — Started the cabin door and trimmed out the opening. 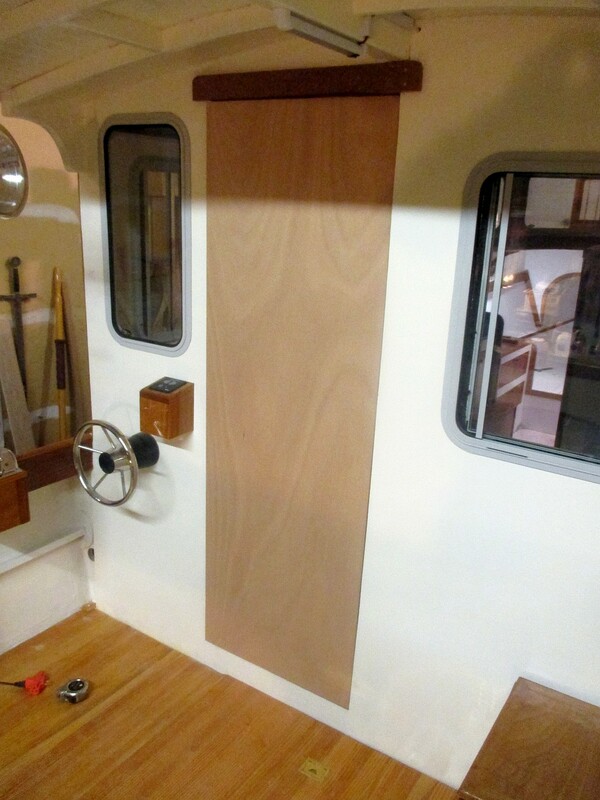 The next (and last) big carpentry job will be the cabin sole, which should pretty much take the rest of the week.